The Daiwa Goldcast Spincast Fishing Reel has a sleek old school design that still meets the needs of the new generation of users. Weighing just about 9.25 ounces, the Daiwa Goldcast Spincast Fishing Reel is considerably lighter than some of the most popular spincast reels you can buy. The Daiwa Goldcast Spincast Fishing Reel is easy to install and use. 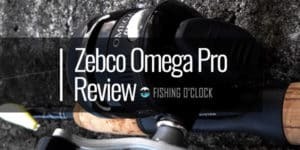 Since it comes pre-wound with a premium fishing line from the manufactures; giving amateur and professional users an easy time while assembling and using the reel. The reel is also convertible and can switch easily from right-hand to left-hand use making it universal. Why purchase a fishing reel that will wear out or break down just after several fishing expeditions? The durability of a fishing reel is dependent on the materials used to make it. The Daiwa Goldcast Spincast Fishing Reel has a rough metal body, a nose cone and gearing that ensure durability. Thus, giving it more life than most of the reels in the market. The reel has a rotating tungsten carbide line pickup which turns with the line. It also enables easy winding and reduces the wearing out of the line and the roller. The spool level wind of the Daiwa Goldcast Spincast Fishing Reel oscillates while it retrieving. Therefore allowing the line to flow freely during outcast. Also, the reel has a mono line capacity (lbs. / yds) of 8/75. Meaning that the spool should hold about 75 yards of 8# mono. This design allows the reel to capture different types of fish regardless of their weight and size. 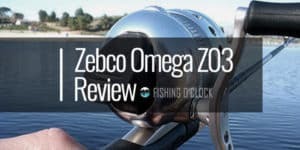 The reel also features an ultra-smooth multi-disc drag that adjusts so well allowing the user to choose the optimal setting thus preventing the line to break in the event a heavy fish is hooked. Another amazing feature of the Daiwa Goldcast Spincast Fishing Reel is the reel gear ratio. The reel gear ratio determines the number of times the ball rotates around the spool when the handle turns once. For the Daiwa Goldcast Spincast Fishing Reel, the gear ratio is 4:1:1, making it easier to catch fish. Ball bearings are other essentials part of all spinning reels. A bearing positioned along with the body provide smoothness, stability and enhances support. The Daiwa Goldcast Spincast Fishing Reel has one ball bearing that guarantees smooth and easy retrieving. This model of Goldcast spincast reel turns 18.3 inches of the line every time the handle is turned. This measure significantly reduces the amount of time required to pull a hooked fish out of the water. During fishing, the unwanted reverse movement of the crankshaft during winding can be disturbing. For this reason, The Daiwa Goldcast Spincast Fishing Reel comes with a selective anti-reverse mechanism that switchable on or off by the users at will. The anti-reverse mechanism stops the crank mechanism from rotating in the reverse direction. Casting is important during fishing and a determinant of whether fish will be caught. To ensure that there is proper casting, the Daiwa Goldcast Spincast Fishing Reel comes with an oversize line guide that with a scientific design to facilitate maximum casting. Price is a primary determinant for most products in any market, and this is no different in the spincast fishing reel industry. The price of a product affects its availability to the end user. The Daiwa Goldcast Spincast Fishing Reel has been priced accordingly and is more affordable than other similar products in the market despite its high-end features. 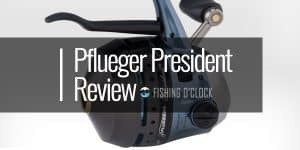 Although the Daiwa Goldcast Spincast Fishing Reel is ranked as the best product in the market, some customers have complained of a clicking noise made by the product when retrieving fish. Though the Daiwa Goldcast Spincast Fishing reel is not manufactured for salty/saline waters, those that purchase it have a great fishing experience in fresh waters. 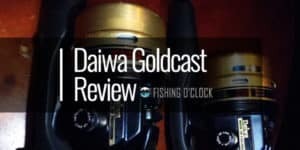 From the above review of the Daiwa Goldcast Spincast Fishing Reel, It is clear that the reel is one of the best in the market today with outstanding features that would make the fishing experience worthwhile. Any serious fisher out there should not have any doubt when choosing the Daiwa Goldcast Spincast Fishing Reel over other spincast fishing reels. The sleek design, the affordability and the unique features of the Daiwa Goldcast Spincast Fishing Reel say it all. To get the best out of the Daiwa Goldcast Spincast Fishing Reel, it is recommended that potential buyers should check out online tutorials and videos on how to use and maintain the reel before purchasing it. All in all, the product comes with a ‘how-to’ manual that guides users on how to assemble and get started with the reel.